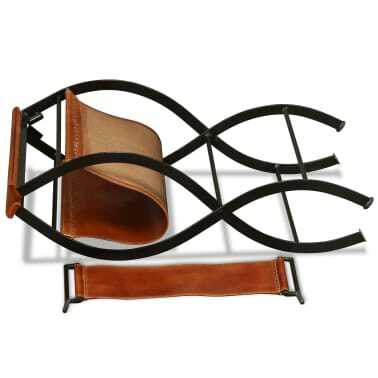 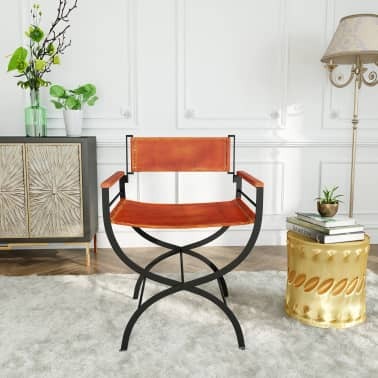 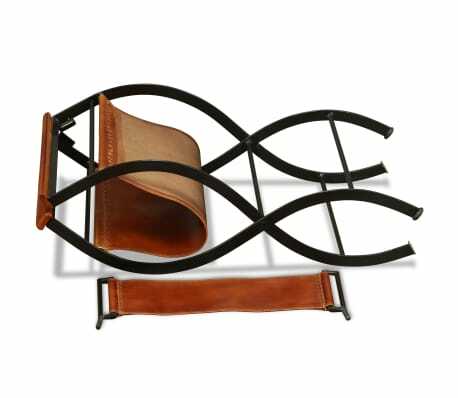 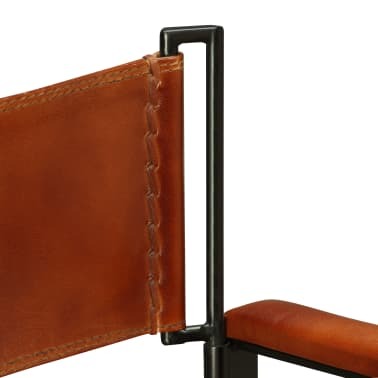 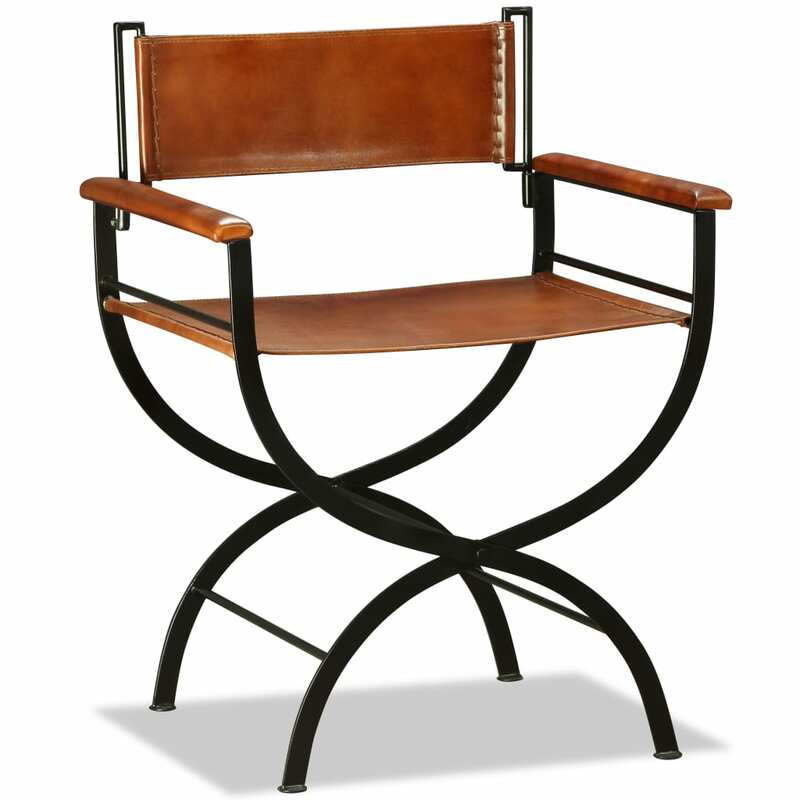 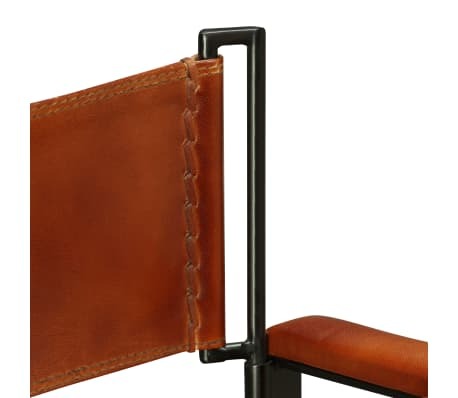 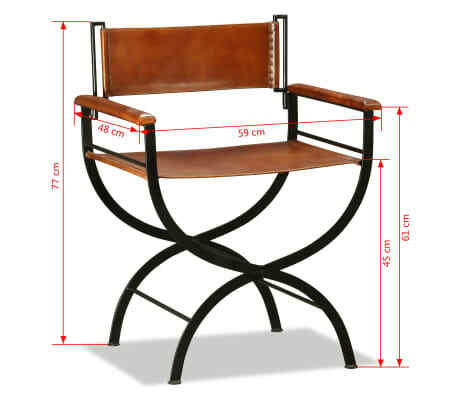 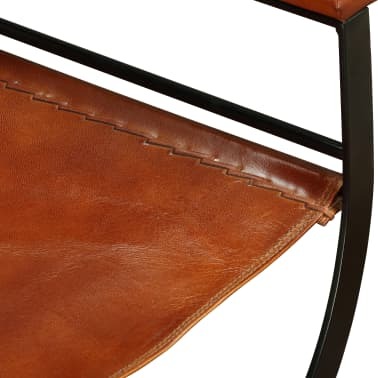 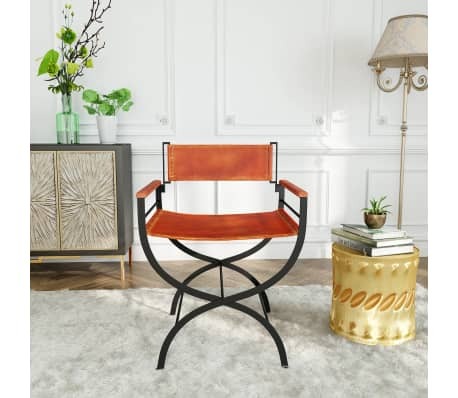 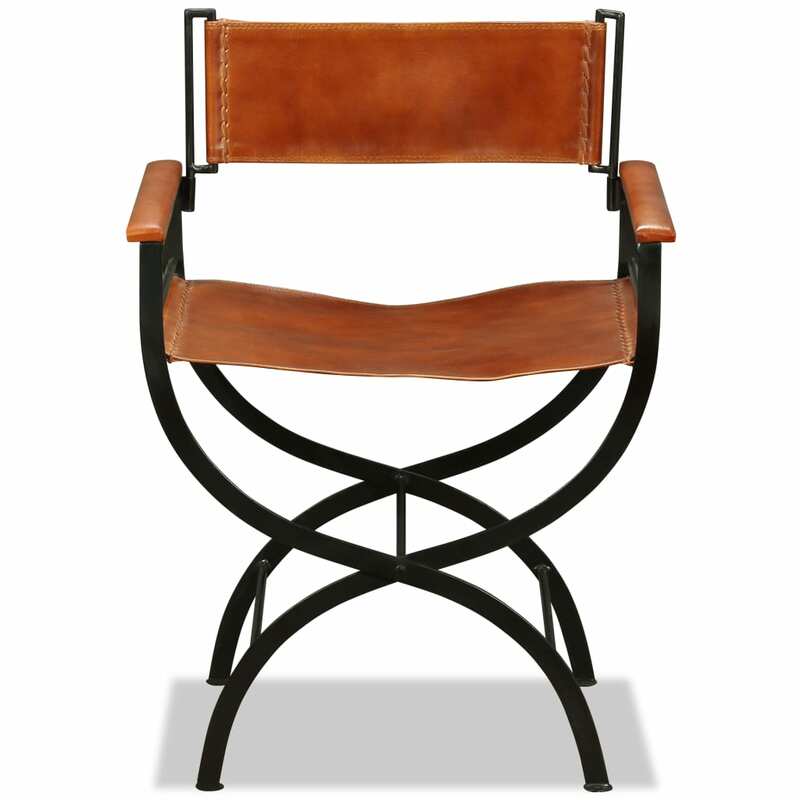 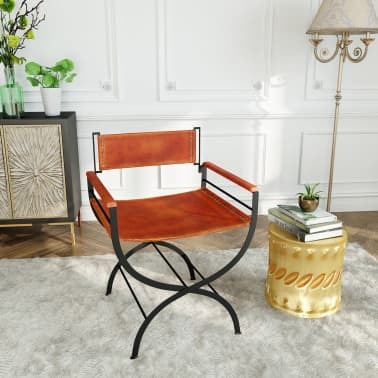 vidaXL Folding Chair Genuine Leather 23.2"x18.9"x30.3"
This soft and comfortable genuine leather chair has a rustic design with a touch of the industrial style that's all the rage right now. 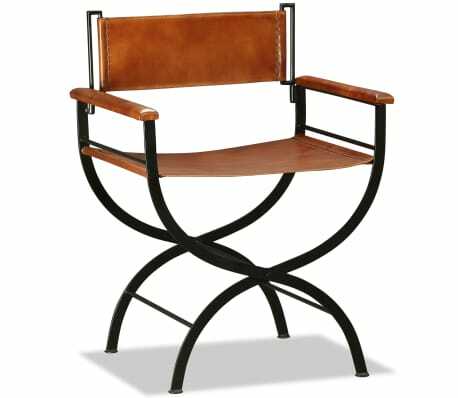 It will look great not only in your living room or dining room at home, but also in your outdoor living space. 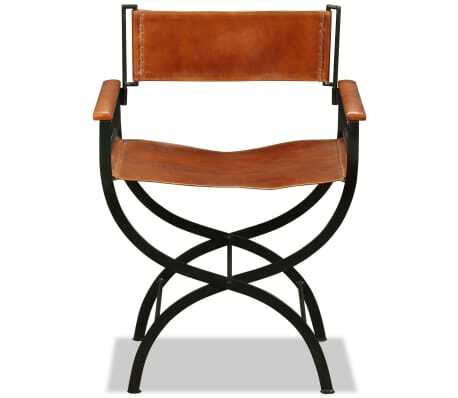 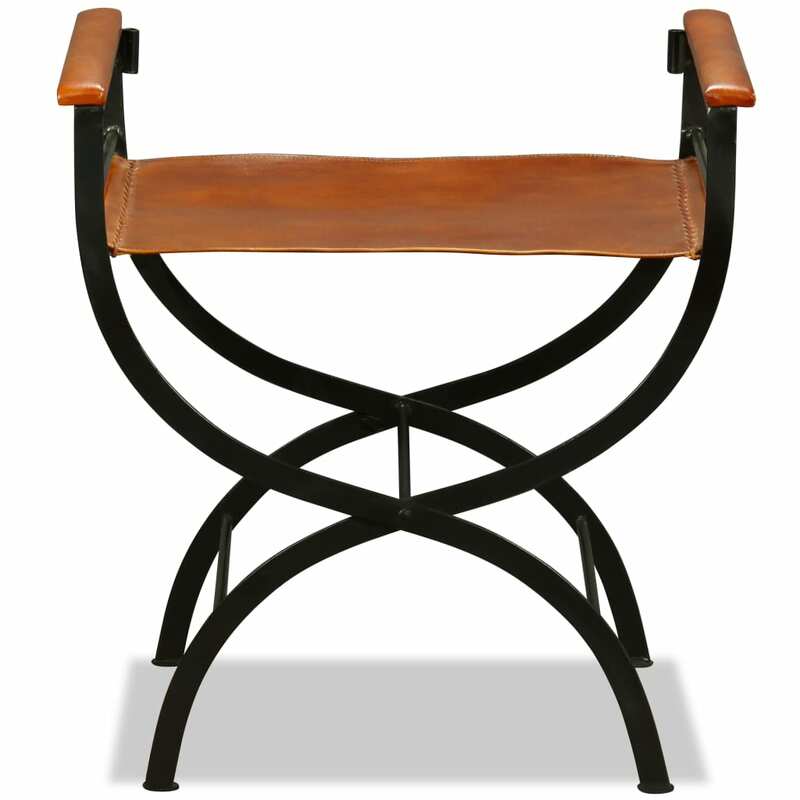 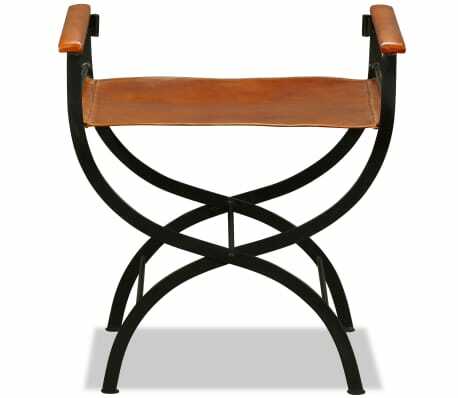 The genuine leather seat, backrest and armrests are soft to the touch and very comfortable, while the powder-coated steel frame makes the chair extremely durable. 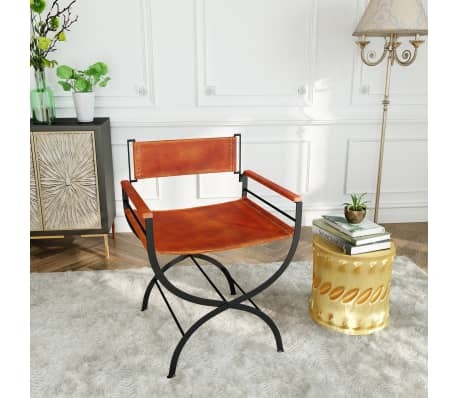 The beautiful lines of the legs add to the chair's unique and vintage look. Thanks to the folding design, this dining chair can be easily stored when not in use. 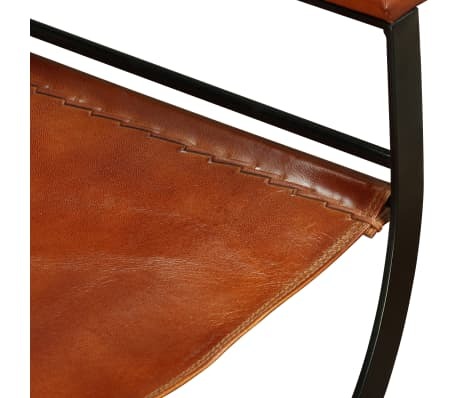 Important note: Colors vary from piece to piece, making each of our chairs unique; delivery is random.